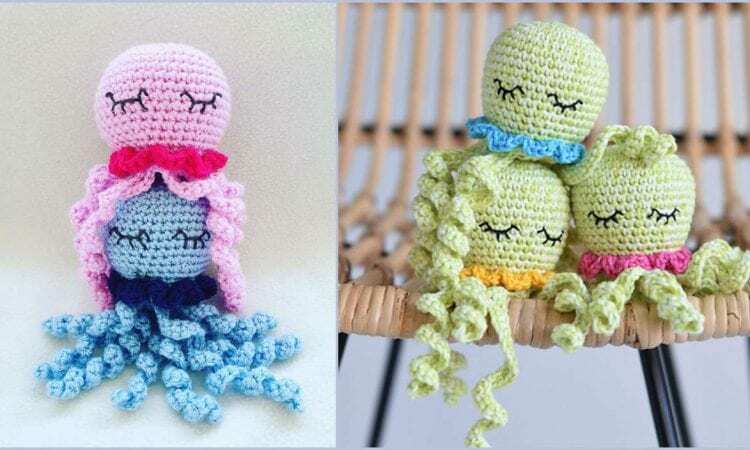 And here is an another version of an amigurumi octopus. I like this one, as in this pattern’s tentacles are crocheted to the body which makes it safer for the little mollusc fans. Also, the eyes are embroidered in an easy way which makes the pattern much quicker. The finished octopus is approx. 7 ” (17 cm) tall. A link to the free pattern is below.